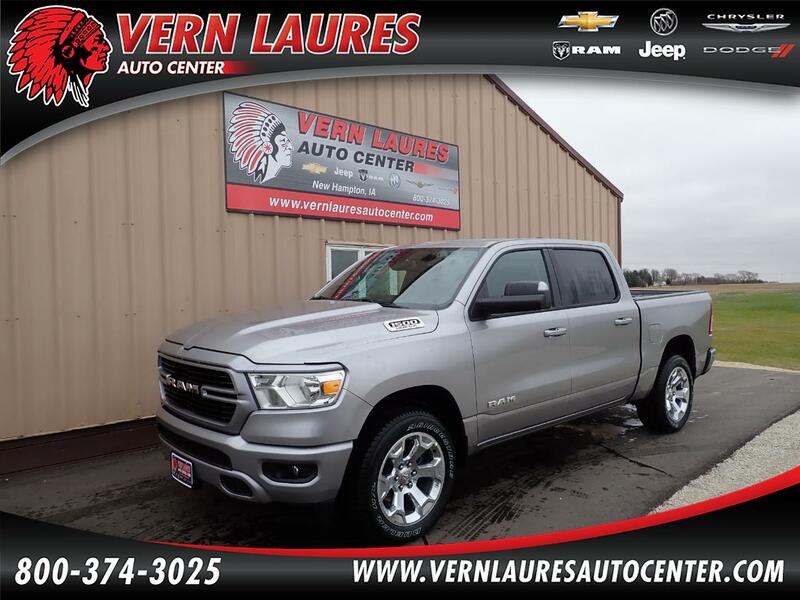 New 2019 RAM 1500 Big Horn Sport Crew 4X4. The color is Billet Silver Metallic with Black Interior. It is nicely equipped with Cloth Seats, a Back up Camera, CD Player, Anti Spin Differential Rear Axle, Rear Wheelhouse Liners, 20" Wheels, Remote Start, 8.4" Display, Tow Package, Trailer Brake Controller, and Power Options. This Truck looks great and is ready to go. Stop in and take this one for a drive!